A card to match the purse! I loved the colors on my tiny purse so much, that I decided to make a card to match! As long as the scraps are already on the table . . . I even pulled out my sewing machine to do a bit of stitching! I cut the "it's your day" sentiment at 3.82 inches from the Birthday Bash cartridge. 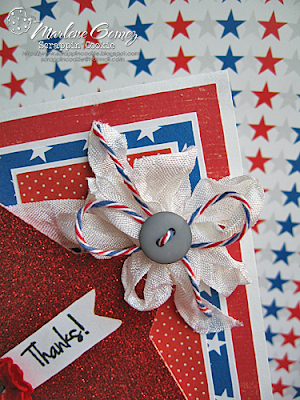 Then I covered it with glossy accents and attached it to my card with dimensional adhesive. The black striped border is a piece of ribbon that I glued on and then folded under the edge of the patterned paper. I built the top piece of this card before I adhered it to the card base. The tag sentiment is from my Tiny Tags Stamp set and I tied it on with a bit of Honeydew Bakers Twine. It is funny that there can be so many shades of black when it comes to picking paper! My Black patterned paper with the swirls actually looked slightly gray next to the black card stock, so I heat embossed the patterned paper with clear embossing powder. This made it a dark black and shiny too! I probably won't give these away together as a set, but liked the color combo. 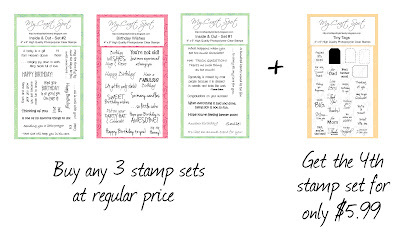 Today is the last day to take advantage of the Memorial Day Stamp Sale!! Hi everyone! I had so much fun making this tiny purse! I think I will fill it with Dove chocolates or some other tasty little treat and give it to a friend who is feeling a little down right now. 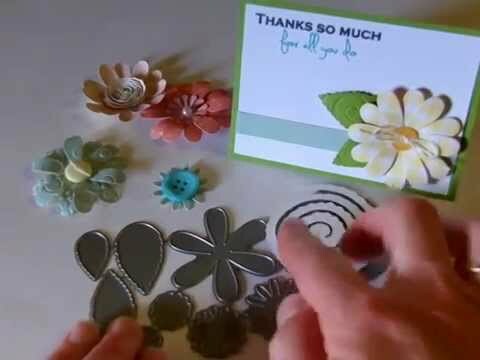 Being able to give someone something unique and special is one of my favorite parts about paper crafting! I wanted the whole purse to be shiny, so after I embossed the black with the Cuttlebug, I heat embossed both the black and the green polka dot pieces with clear embossing powder. The sentiment is from the Tiny Tags stamp set and I tied it on with a bit of Honeydew bakers twine. I thought the rhinestones (Close to My Heart) added a fun touch of bling! I cut the purse (black) and green layer at 3.75 inches from the Forever Young cartridge. The cute polka dot paper is from Pebbles. The green layer is actually supposed to go on the inside, but I added it to the outside of the purse instead and then used my exacto knife to cut a slit for the front of the purse to slide into. Winners from Challenge #56 - Congratulations! We had so much fun looking at all of your amazing projects! 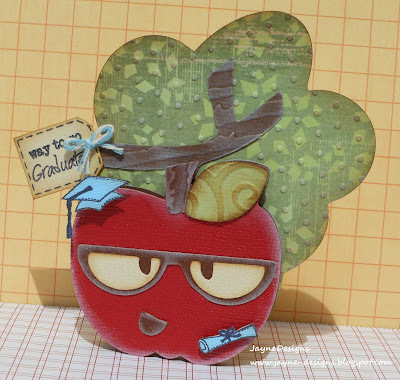 There were so many cute cards and projects it was hard to pick! Thanks for joining the fun!! 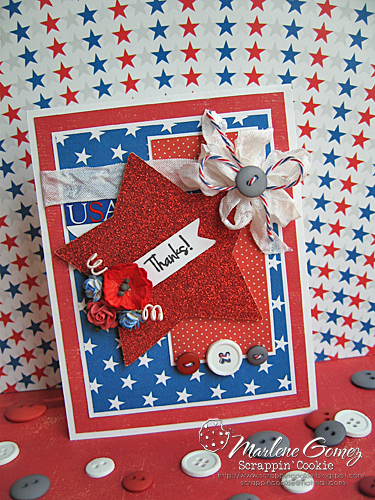 Congratulations #49 - Karen L.
Monday Challenge #57 - Buttons & Bows! I hope you have had a wonderful weekend! We spent part of our weekend camping and woke up one of the mornings to snow! We have decided to add a new rule to the Monday Challenges. Starting this week your project must be new for this challenge (no backlinking) in order to qualify for the prize. It is so fun to see all of your projects and I hope you enjoy playing along with each new challenge! So, are you ready for a new challenge?!?! This weeks challenge: Buttons & Bows! Now for some inspiration from my fabulous design team!! I love the fun background shapes GiGi used and the face on her sunshine is absolutely adorable!! GiGi used Divine Valentine Bakers Twine to tie this cute bow! Robin's teapot is beautiful! I love all of the lace and ribbon she used! 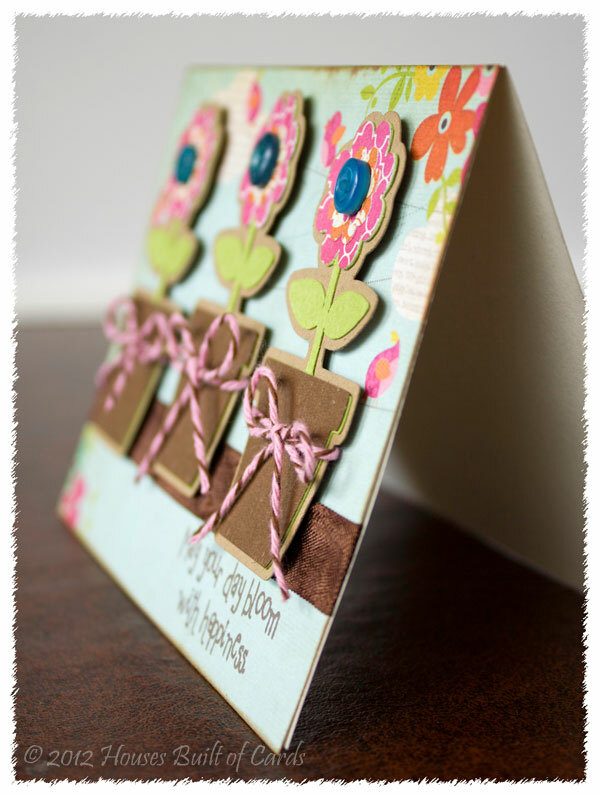 The scalloped background is soooo pretty! Heather's flowers are so pretty and the Chocolate Cupcake twine looks so cute on the flower pots!! 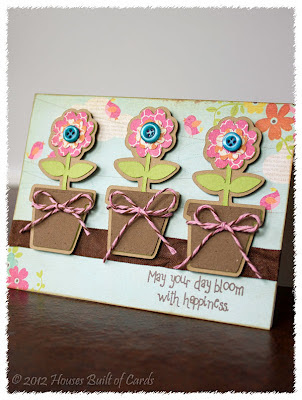 I love the beautiful papers Heather used and the button flower centers! The sentiment Heather stamped on her gorgeous card is from Sweet Sentiments #2. 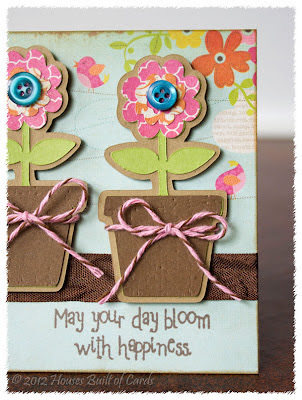 I love all of the fun details Marlene added to her gorgeous card! The flowers are so pretty and the curly wire adds a fun touch! The Airmail bakers twine looks so festive on top of the Snow white Bow! What a fun birthday card! I love the glossy cherries on Ally's delicous looking cupcakes!! Inside of Ally's sweet card! Link here for a chance to win!! 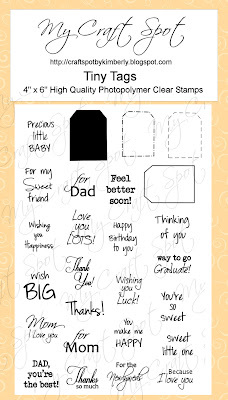 Use the PayPal button below and then be sure to add 3 more stamp sets to your shopping cart. Have a fun and safe Memorial Day Weekend!! 4th of July Glass Block! Hello, my crafty friends! 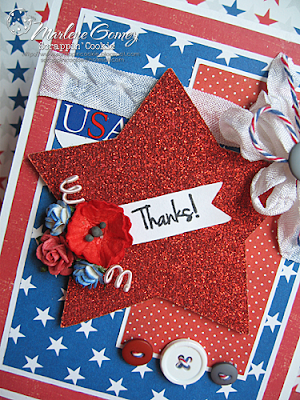 Today I have a fun 4th of July project using a Glass Block and Vinyl! So, I had this idea in my head and pulled out my Gypsy. I added a 6.5 inch square on the first layer so I would have a template. 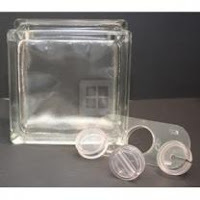 I have listed out all of the cartridges and cut sizes I used. Basically, I just played around with the fonts I already had. 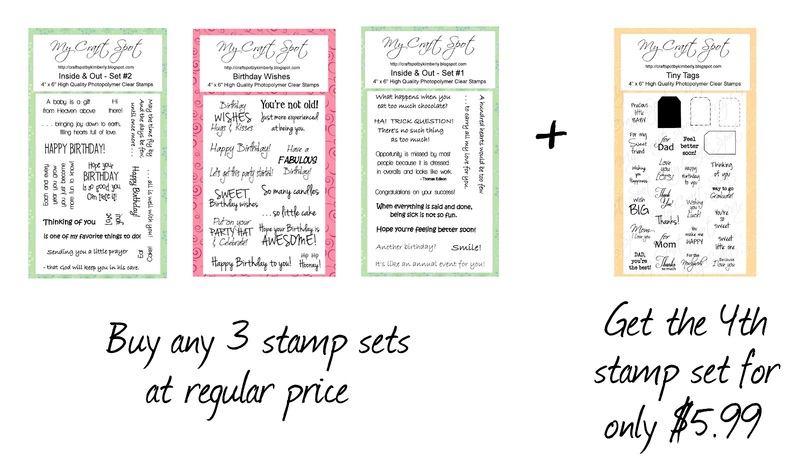 If you have the Stand & Salute cartridge (which I don't), there is a bunch of fun word art all ready to go! **I moved the letters closer together for the "Land of the Free" and "Home of the Brave"
Click HERE for a video showing how to apply vinyl to tile. I applied my vinyl to the Glass Block exactly the same way, except that I did just one piece at a time. I got my block from Quality Glass. It has a plug on the bottom so you can put things (including lights!) inside the block. How cool is that?!?! Monday Challenge #56 - Congratulations! Winners from Challenge #55 - Down on the Farm!!! 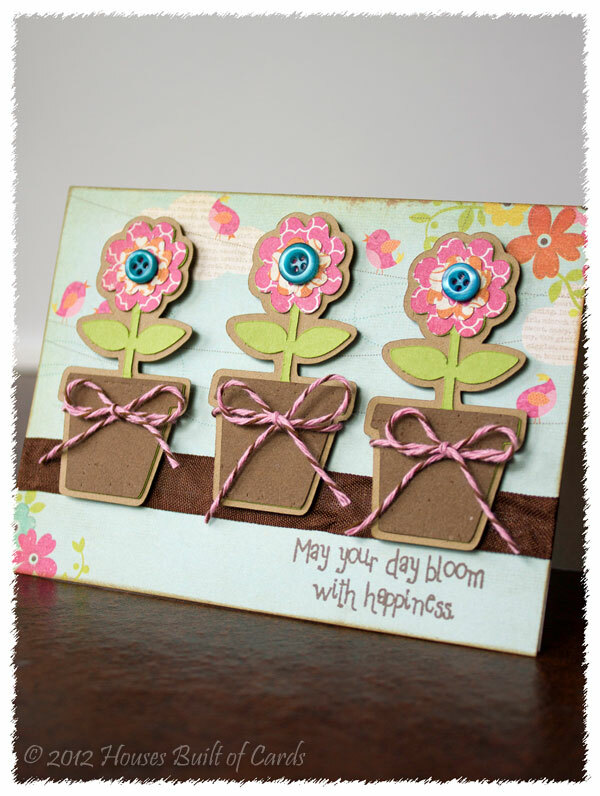 Cheerful Spring card for a friend! Winners from challenge #53 - Things that go!! !